Think about the last conference or meetup you've went to... how seamlessly did it run? What difficulties did you have finding the venue? How easily did you navigate the event? 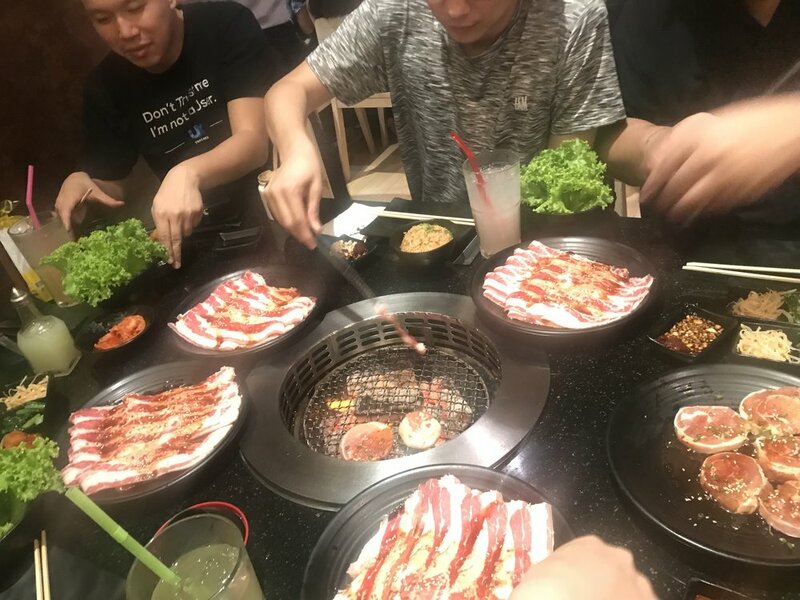 Did you find food and drinks easily? Did you know who to approach when you had questions? Was the knowledge you gained from the event (if any) what you were expecting to learn about? Did the connections you made (if any) make it worth your time? ⏳ We take time out of our busy lives to attend things and often forget to evaluate whether or not the returns from our being there justify the investment of that time and effort. I've been to whole-day conferences where there was no information about where everything was at the venue, sessions strayed off the agenda, speakers came unprepared... and on the other hand I've also been to conferences that were easy to navigate, and every session had some gem to write home about. What did the organizers do differently that led to these different outcomes? For the first question, each person in the team had different answers: I have a message to share, I like putting on events already, I want to reconnect with X community, I want to hear what the speakers have to say... The reason doesn't matter as long as you have one. Because if you don't, that means you can't identify what you get by putting in this effort. If there is zero ROI then why make the investment at all? This event was ThoughtWorks Thailand's first tech talk meetup series of the year. We have a plan to host one meetup each month and wanted the topic and content to be driven by the speakers themselves. In January we had an office-wide ideation session about what topics people were interested in presenting on. Despite the name of the talks series, topics could lie anywhere on the technical - non technical spectrum. January - getting ideas on meetup topics for 2018. 📆 By the end of the session, we had a grid representing a calendar drawn on a glass wall, each section containing team-generated topics written on a post-it note. I'd like to share some experiences and my own learnings from our first event of 2018. The discussions were to hone in on the interplay between business and users needs in a (software) product development team, and how to navigate the waters when these two worlds collide. We featured lightning talks and a panel discussion between the voice of the business (Business Analysts) and voice of the users (User Experience Designers). To address why a person would want to come to this event, we wanted to make sure the content fitted with what the audience came for by making the discussion points registrant/audience-generated. More on this in a bit..
Now that we had a topic, a team of us broke down all of the tasks that needed to be accomplished to ensure a smooth execution of the event from beginning to end. Once we had the raw ideas, we sorted them into buckets that loosely fit the pre-, during, and post- event timeline. To avoid diffusion of responsibility, we ensured that each bucket had an owner and then let them run with it. 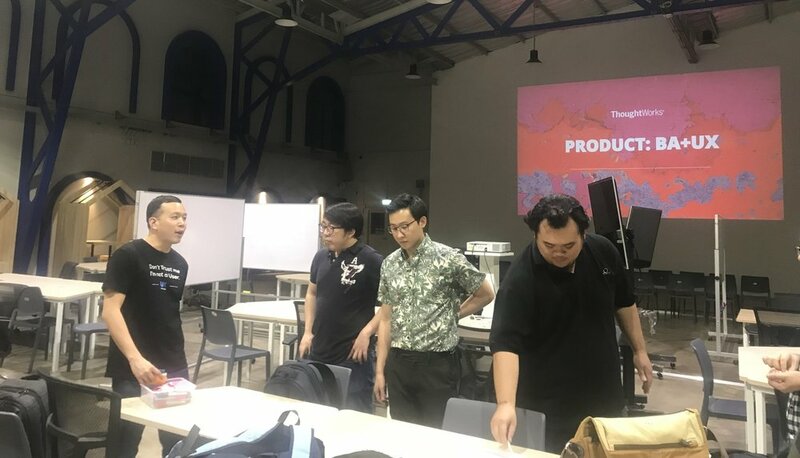 Last year I helped organize ThoughtWorks Thailand's first VodQA (value-oriented discussions for Quality Analysts), where the main tool used in planning was a shared Google doc. This BA x UX event was my first time using post-its to visualize the logistics and what needed to be done. In the end, we did put these ideas into a shared doc, but having a thing you can physically move around helped a lot. The activity was done by four people who individually came up with all the to-dos they could think of, and then laid them out for others to see. This helped surface out of the box ideas which, even if weren't ready for implementation this time around, could be great for future events. 🏢 Because our office is still too small to host community meet-ups. We are still relying on co-working spaces and other facilities to host our event in. There are many factors at play, such as: distance from public transportation, capacity, flexibility in seating arrangement, sound system, price, catering, rules around alcohol, hours of operation... Venue selection is extremely important because it is the backbone of the entire experience. It's also not a straightforward evaluation process because you have to optimize for different criteria depending on the topics and target audience. 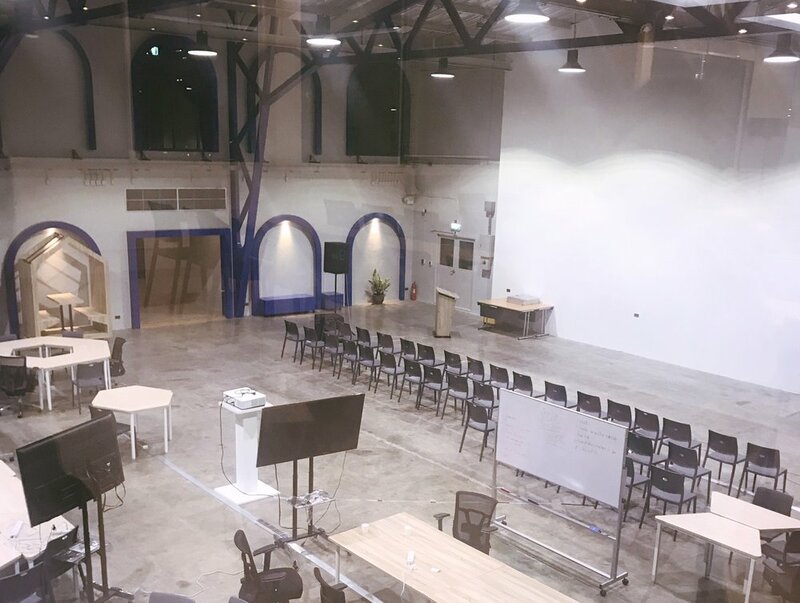 For this first event, we decided to try out BIG Co-Working Space which is an old motorcycle garage turned co-working and office space. As well as the 400 cap. event hall, the venue offers smaller conference rooms and a themed outdoor area. Their team was completely flexible with my external catering, seating arrangement, and technical equipment requests. We wanted an area where people could hang around and network afterwards as well, and thought the event hall would be good for this. We utilized Event Pop for ticket distribution and sign-in. The platform has a comprehensive organizer dashboard that gave you the ticketing stats and attendee information. On the ticket form, we asked registrants to give us three pain points when working with different business, tech or user-side stakeholders. We also asked what a successful product looks like to them. The purpose of this was to get them thinking about topic at hand, as well as help our panelists hone in on the common themes of painpoints that the BA/UX community are experiencing. I collated the 100+ responses and distilled the painpoints into three general buckets: the requirements gathering stage, the collaboration/process stage, and the problems faced post- product release. 🎟 We first anticipated around 100 registrants, plus walk-ins and minus no shows. To gauge interest, we released the first 50 tickets and had people share the event on Facebook as well as post on the UX community page. The tickets were gone in less than 20 minutes. We announced a time for the next batch of ticket releases, and those were gone in even less time. Not a bad start! On the Friday prior to the event, the organizing team had a huddle to run through the flow. We went over everything from PR leading up to the day, to setup logistics and MC/speaker logistics, to the networking portion. By imagining ourselves as an attendee, we can think about what last-minute information might they need on the day, what questions would almost everyone ask once they get here, what their journey is like from when they make their way to the venue to when they leave for the night... From this, we can prepare to give both attendees and ourselves the smoothest experience possible. Again, we physicalized the action items into movable pieces. Why keep ideas in your head when you can sculpt them with your hands? By organizing our thoughts this way, it was clear to see what did not make sense, what needed reordering, and what needed to be communicated to the team. Physicalizing ideas like this is second nature to some, but for me this was a novel way of doing things. Thanks to this, I had a clear structure of what needed to be done on the day and could communicate it to the appropriate people. Afterwards, a run through of the panel discussion and common pain points over BBQ. I spent most of my time with registrations and ushering people in. The environment was very suitable for people to form small groups and network. In the end we had to add more chairs to the theatre seating area but still left a big enough space for people to hang around at the back. We decided to do an AMA-type discussion live after the panel, where audience members can submit questions and upvote on ones they were interested in hearing the answers to. This was the most interactive portion but unfortunately we ran out of time before we got through them all. It was great to see audience participation and focus on the content. Some of the feedback we gathered did include the fact that this panel portion ran too short, which is noted for next time. We also noted that this airplane hangar-like venue was very echoey, and sentences sounded muffled for people at the back. During soundcheck we tested it with an empty hall so we didn't foresee this. Again, something for both we and the venue team to take into account for next time. 🎤 Another thing of note is the fact that the speakers were stood on the same level as the audience, making it hard to see who was speaking. They also had a bit of a hard time seeing what was being projected and had to constantly crane their necks to read the slides. This admittedly was a bit of an oversight on the set up side, but it is something that can easily be addressed in future events. One of the most valuable things that we as organizers can take away is the feedback. Instead of asking attendees to fill in a Google Form over email the next day, why not collect their thoughts while it's still fresh? We could have done a better job at explicitly announcing for people to give their feedback, which is why this wall is looking a bit empty. Nevertheless, we managed to collect both positive and constructive feedback to take into account for future events. The It was also great to see people enjoying themselves and seeing familiar faces. The networking portion was definitely lively and a lot of people stuck around until the very end. So, what did I get from this besides free beer and something to write about? When I look back to that first planning huddle we had with the team, I was asked why I decided to help out with this, what was my motivation and what I hoped to get out from this investment of time and effort? My answer was that I wanted to connect with the practitioner community in Thailand, and give them a chance to meet our team members from overseas and hear about what the work is like beyond the world they know and are used to. I also wanted our guests from overseas offices to learn about the market and the community in Thailand as well. In my short time as a recruiter in Thailand, I have probably come across this people either over resume screens or phone calls. Time constraints aside, there is nothing that can substitute meeting someone in person in an environment where you both can be yourselves. Instead of being just a gatekeeper who stamps yes or no to someone's candidacy, I'd like to establish a meaningful connection with members of the practitioners in the industry regardless of whether we can work together right now. And yes, this experience has satisfied this why.